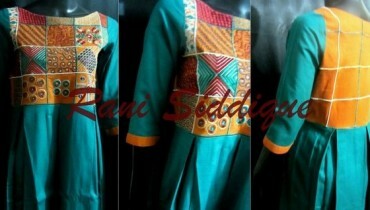 There would be no single women who would not be the heartfelt fan of Uzma Creation. This brand has make a special and yet an unforgettable place within the fashion market. This brand gave its first appearance in the public in 1980 but the ear of 1990 till 1996 has been marked to be the golden period of Uzma Creation because all the women have fallen in love with this brand. They deal with the women clothing in the shape of shalwar kameez, shirts, tops, tunics, lehengas, saris and so many others. 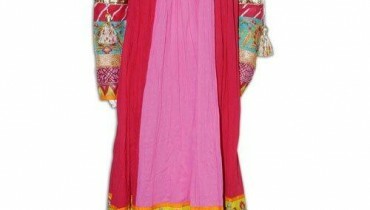 This time Uzma Creation has arrived with the bang explosion of winter tops and tunics collection 2012-2013 for women. The winter collection has been concluding out to be much smarter and classy for the women because all the tops and tunics have been comprised with the stunning looking styles and design efforts. The young girls and women can wear all such winter tops and tunics with the ideal match of tights, jeans and trousers as well. The colors combinations that have been covered within the winter tops and tunics collection 2012-2013 have been set as much dark looking and dazzling intense because the brighter colors are much loved during the winter timings. The collection tops and tunics have been also ornamented with the embroidery workings as well that have been travelling in the sleeves, neckline and front side of the shirts. 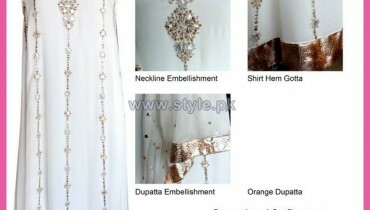 In this article we are sharing few striking pictures of Uzma Creation winter tops and tunics collection 2012-2013 for women. Women can make them feel as good looking and greatly elegant by making the choice of all such winter tops and tunics on get together and social gatherings. In simple words, we would suggest all the women that they must check out this winter tops and tunics collection 2012-2013 by Uzma Creation because it will make you fall in love with this brand one more time.